It is 12:45 pm. In just 2 days, 17 hours, 14 minutes and 7 seconds I will be seeing Gypsy at the Gem Theater in Garden Grove. Having heard the songs and being familiar with the show’s reputation, I am very excited. 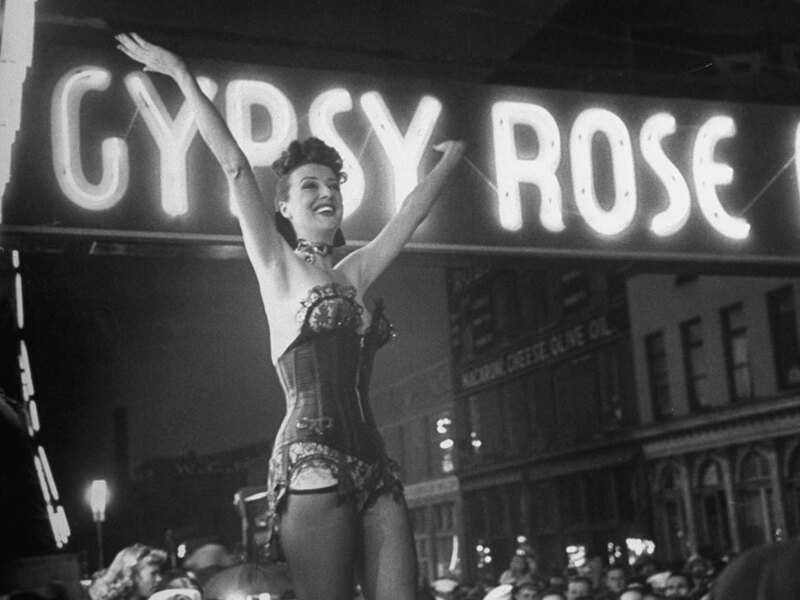 Set in the 50’s Gypsy is a musical loosely based on Rose Louise Hovick’s glorious ascension from less-talented-second-fiddle-playing-runner-up-child to Queen of Burlesque Dancing. Having spawned a critically acclaimed Broadway musical and two movies (plus the very loosely inspired film, Whatever Happened to Baby Jane?) you can be pretty well assured that the story holds up. Whether the set work or the acting does this play justice. That remains to be seen but with such a fun score and classic story I anticipate nothing but an entertaining night.